Marriages in this country are known for their great pomp and show. Beside its vibrant features, the occasion is also the best epitome of elaborate rituals and traditions. In India, a man and woman is said to be incomplete before marriage and hence significance of nuptial events can’t be ignored. The sacred cultural practices of the occasion are said to have long lasting effect on the married life of the couples. Marriages are said to be made in heaven, here in India which is a cultural melting pot, the influences of religion, caste, creed, ethnicity, language all coalesce to paint a colorful aurora. 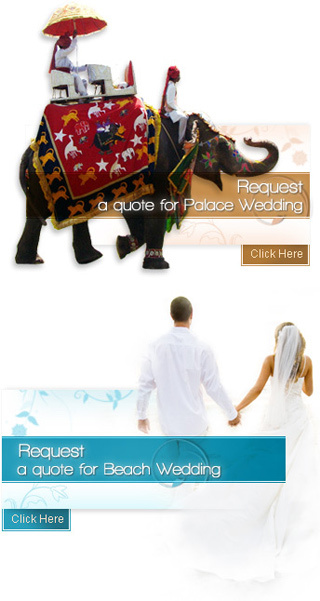 Indian weddings, then naturally are very bright and colorful events, interspersed with rituals and celebrations that continue for days on an end. The social milieu in India is rapidly changing, with both arranged and love marriages taking place, dotted with interfaith marriages. At times western influences, like speeches, best man, best maid etc are also observed. New marriage trends are being noted with the changing times, be it a village marriage or one taking place in a metropolis. Despite the grand scale of the panoramic Indian wedding canvas, certain key elements like pre-wedding celebrations, the actual wedding and post event celebrations weave a common thread, in all types of wedding celebrations. The Indian Diaspora has spread far and wide and taken along with it the culture and traditions of its motherland. They too mark and celebrate the beginning of a new married life wherever they happen to be in the world with all the sincerity, dedication and belief, the way it is done back home, albeit with modern local twists. The Indian way of life as opposed to the western individualism still finds expression and affirmation in the Institution of marriage. In an Indian wedding, it is not just the blissful union of two souls, essentially it is the forging of an intimate social bond between two families drifting closer to each other and strengthening its ties. It certainly has wider social ramifications in the consolidation of culture and tradition, while at the same time preserving the heritage handed down by the previous generations. Not to mention the joyous celebration, the lovely ceremony, color, opulence, and tradition so vividly observed in Indian weddings, elegance and merry mood are ethereal to all celebrations.